Looking for a formal tie for your son? 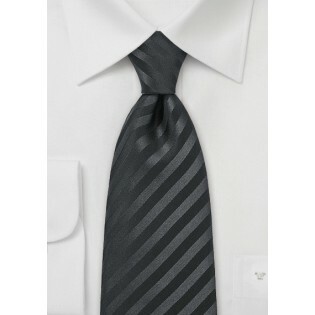 Then this elegant black tie by Puccini will be perfect. It is made especially for boys up to the height of 5 feet. The subtle striped pattern adds unique character without taking away from the formal look. 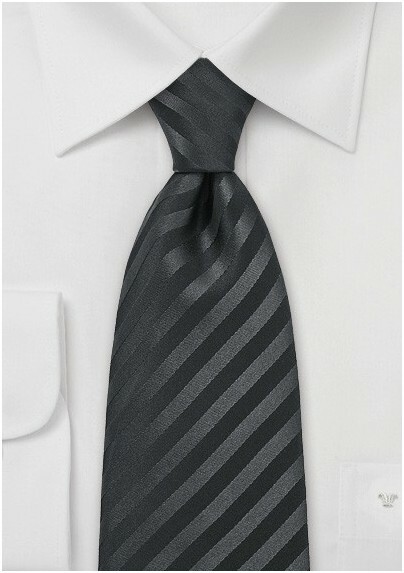 This tie is made from a unique fabric called Microfiber. It looks identical to silk but is much more carefree and it also does not wrinkle as easily - it is the perfect fabric for a kids tie!